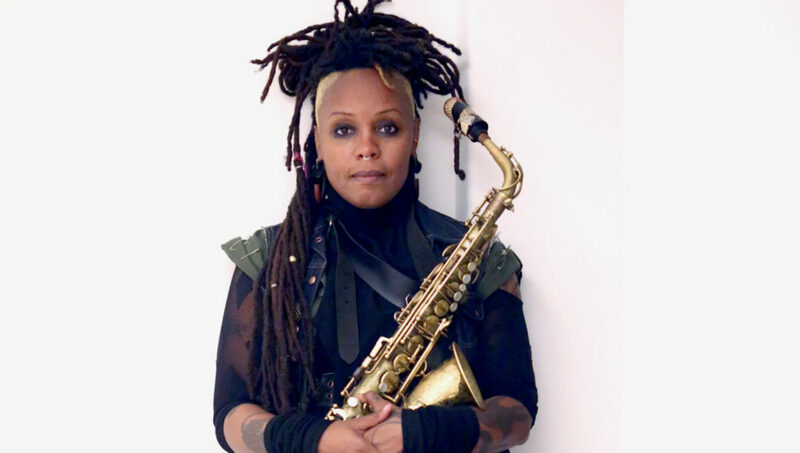 Matana Roberts is an internationally renowned composer, band leader, saxophonist, sound experimentalist and mixed-media practitioner. Roberts works in many contexts and mediums, including improvisation, dance, poetry, and theater. She made two records as a core member of the Sticks And Stones quartet in the early 2000s and has gone on to release a diverse body of solo and ensemble work under her own name on Constellation and Central Control over the past decade. She is perhaps best known for her acclaimed Coin Coin project, a multi-chapter work of “panoramic sound quilting” that aims to expose the mystical roots and channel the intuitive spirit-raising traditions of American creative expression while maintaining a deep and substantive engagement with narrativity, history, community and political expression within improvisatory musical structures. Constellation began documenting the Coin Coin project in 2011 and has released the first three of a projected twelve album-length chapters to date.